According to the Environmental Protection Agency, indoor air quality is one of the most pressing environmental risks today. Indoor air pollution can be up to five times more harmful than any other air we breathe. We care about the safety of the environment and the well-being of your employees. We use Sustainable Earth Products which are Third Party Certified, Green Seal Certified, EPA DIE Recognized, and are approved by the City of Seattle, which has the strictest environmental criteria in the United States. Action Cleaning prides itself on offering green cleaning for all of our services. We offer janitorial services to help clean any building to the highest standards. 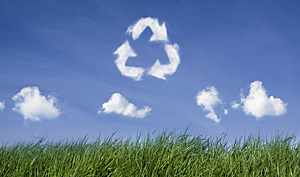 We always utilize our green cleaning practices with our janitorial services. Our office cleaning services include a complete walk-through to ensure all service requests are granted. While cleaning an office, Action Cleaning Services focuses on our eco-friendly products and green cleaning practices. Action Cleaning Services takes medical cleaning very seriously. We use green cleaning products as often as possible while cleaning medical buildings and stations. While cleaning floors, carpets, and windows, we use green cleaning products and practices as often as possible. We offer extra building maintenance like pressure washing walkways and changing light bulbs. We will always use green cleaning practices when they apply to whichever additional services your company may need. Whenever possible, we use eco-friendly green cleaning supplies like microfiber cloths, flat head mops, HEPA air filtration, color coding tool systems, and green paper products. Everything looks great. Thanks for all the shuffling and such to get us squeezed in. The staff have been commenting all day about how great things look.